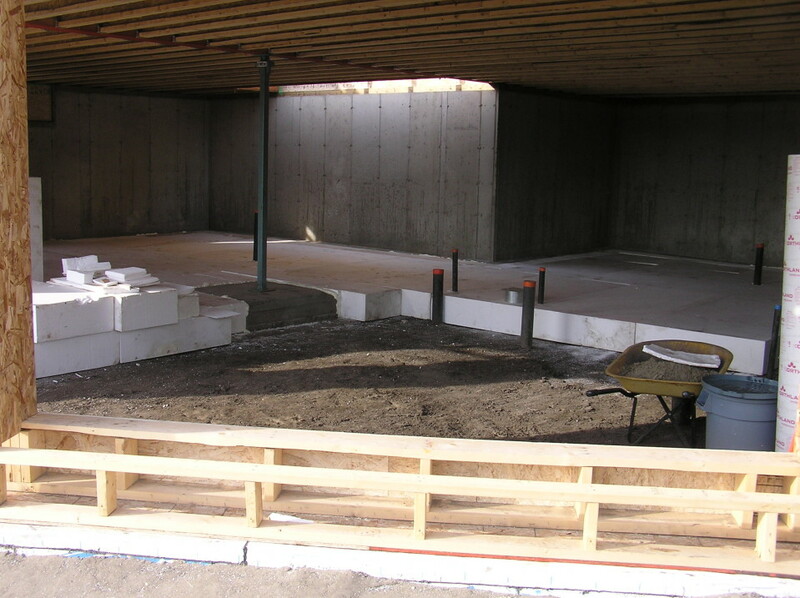 Like the rest of the foundation, the basement floor is insulated with 12″ of EPS insulation. 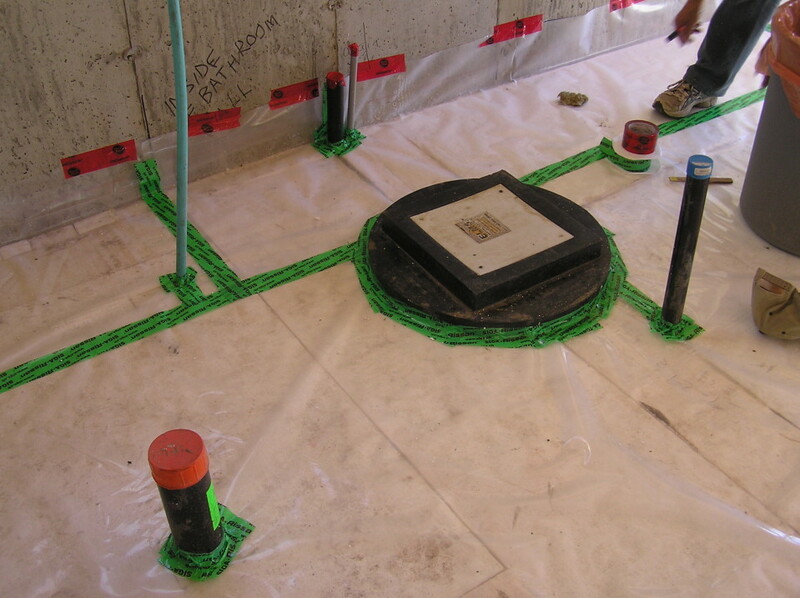 A layer of taped polyethylene forms the air/vapour barrier beneath the concrete slab, giving us some nice thermal mass (in addition to the foundation walls) inside the thermal envelope. 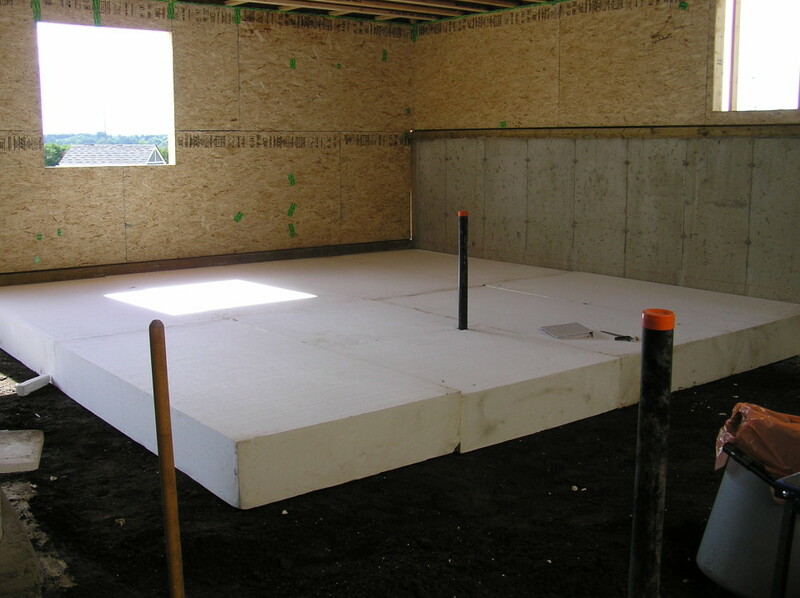 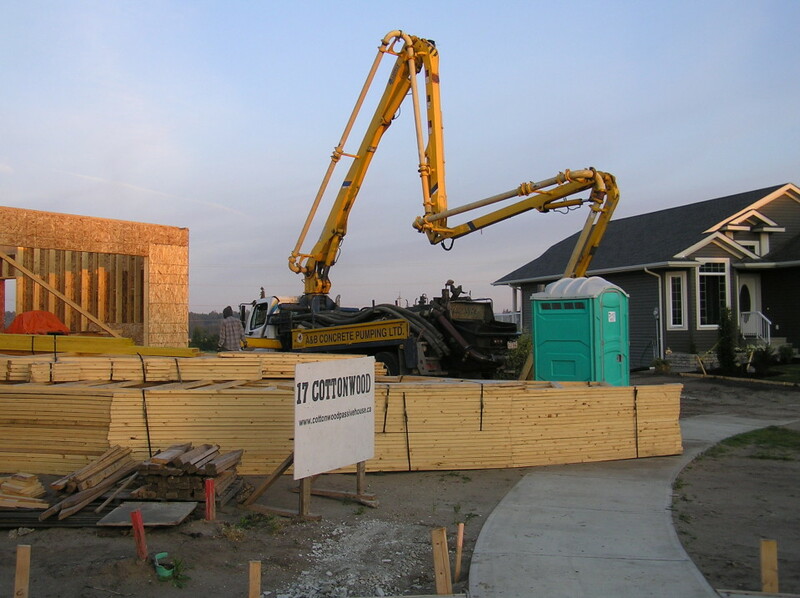 The EPS came in 8’x4′ sheets in the same package as the rest of the foundation insulation. 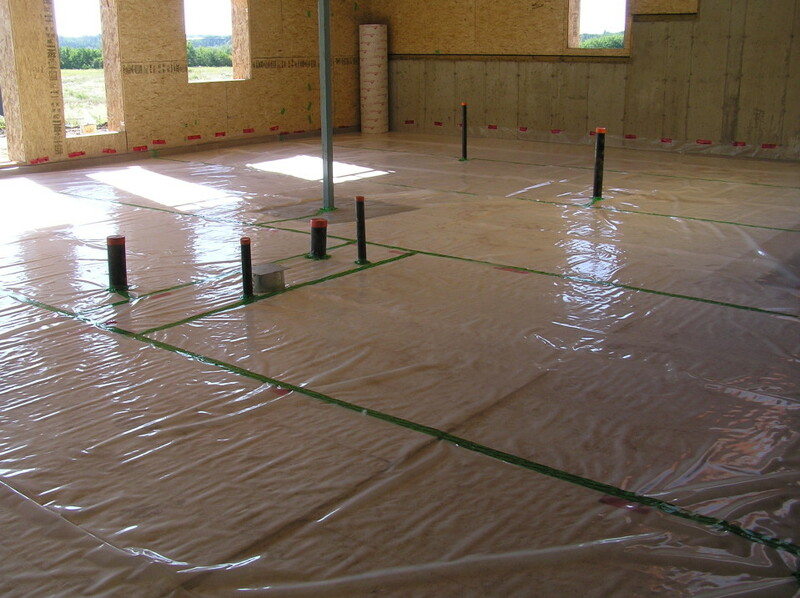 With all the EPS in place, the polyethylene air/vapour barrier is installed and all the joints taped and sealed, including all the plumbing penetrations. 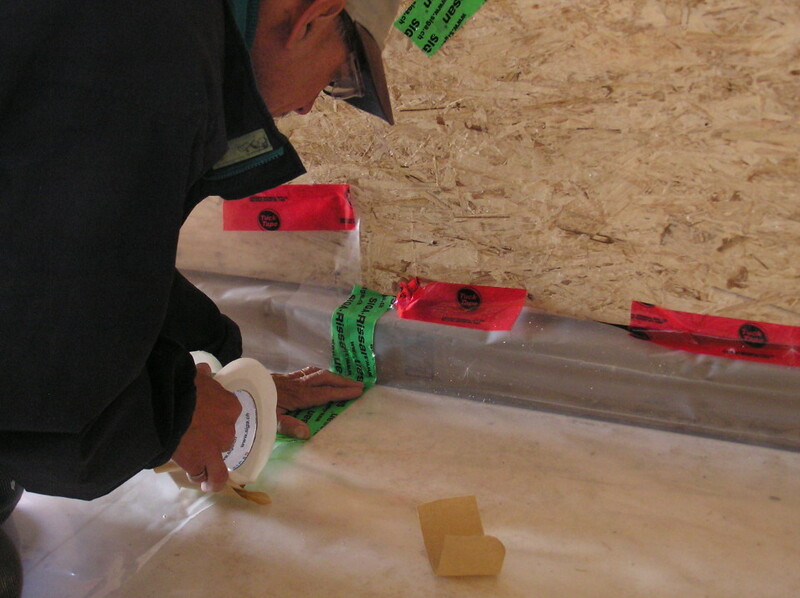 A close-up view of airsealing in action. 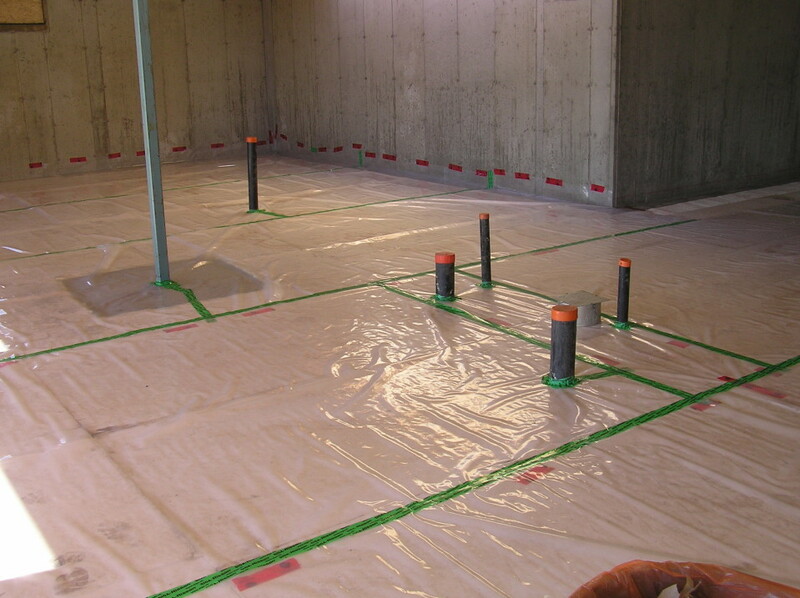 The Tuck Tape is only temporary to support the poly until the slab is poured. 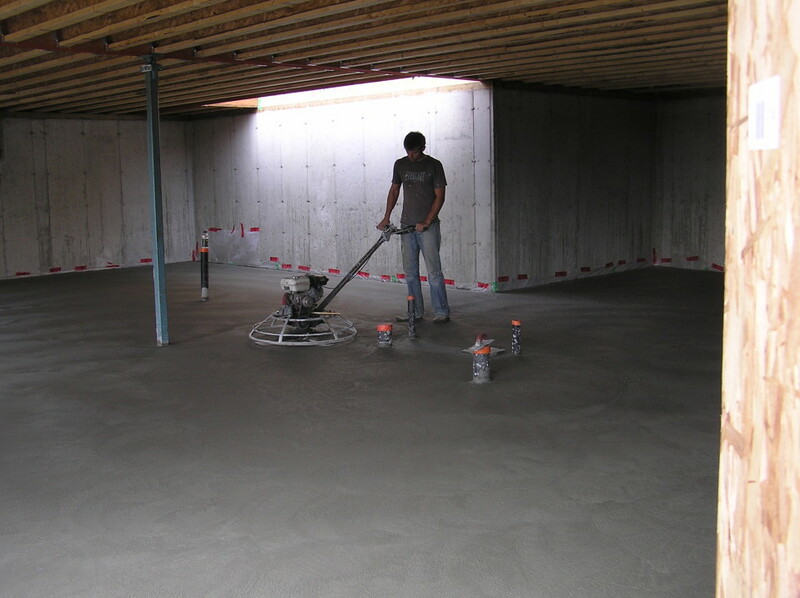 This is the sump pump we unfortunately needed to install. 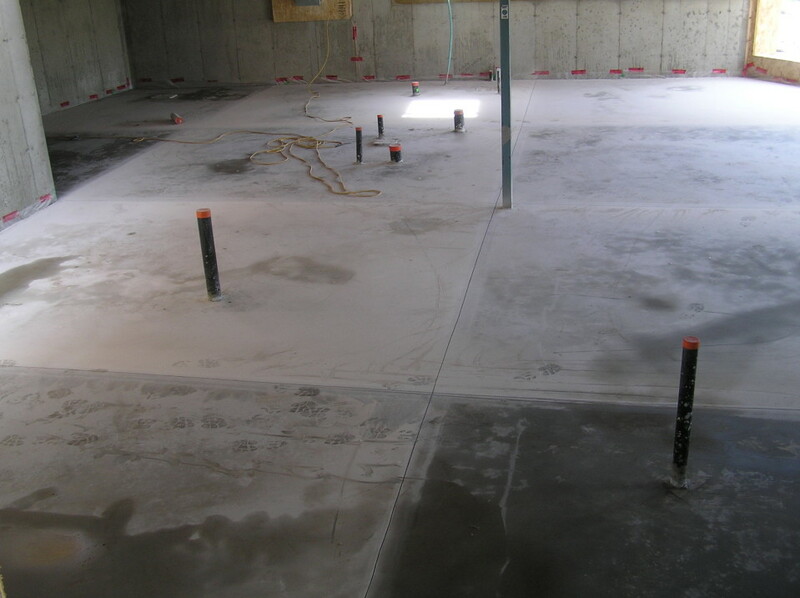 Hopefully this doesn’t represent a severe weakness in our airtight envelope, but I suppose we will find out soon enough. 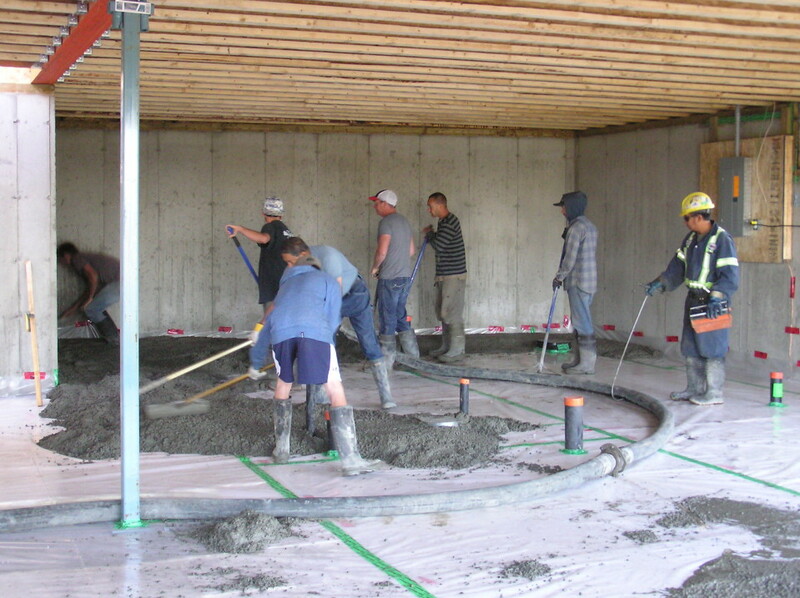 Concrete pumper truck preparing to dump concrete into the basement. 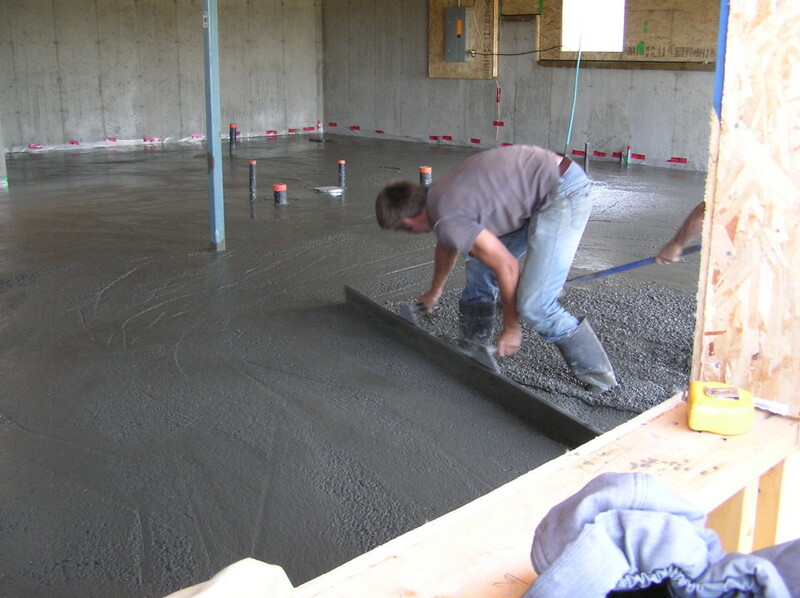 … and power-trowelling in some dramatic light! 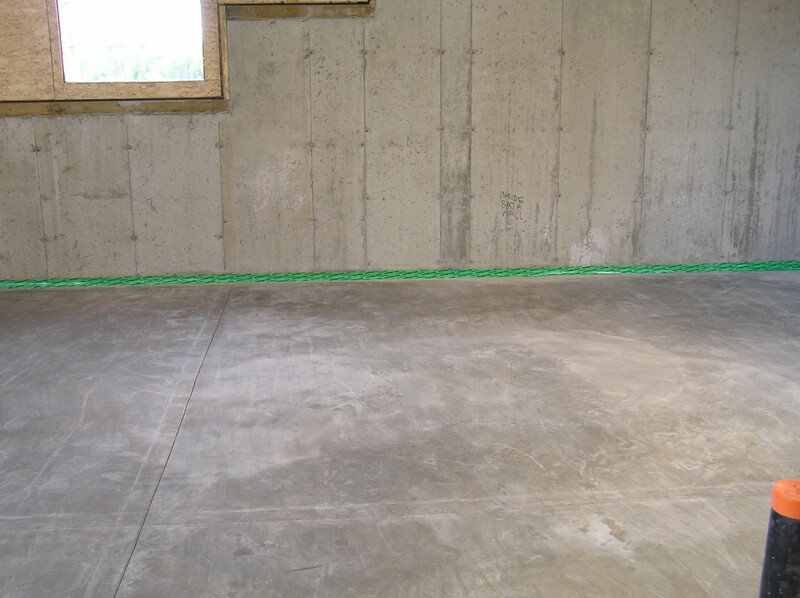 The finished slab with control joints cut. 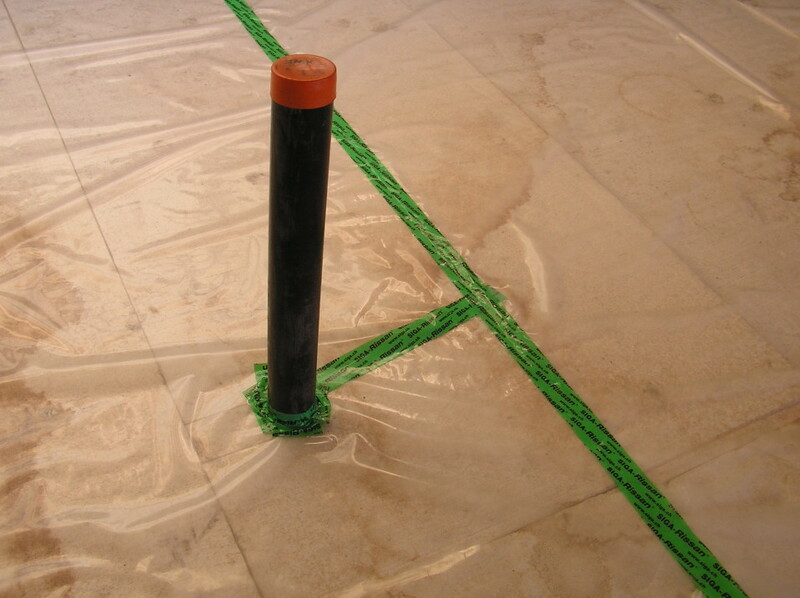 To complete the envelope air/vapour barrier, the exposed edge of polyethylene is cleanly taped to the concrete wall at the perimeter — hopefully ensuring a nice, tight basement seal.